A selection of Fizz Venues where Fizz have organised a range of events that include conferences, receptions, dinners and staff events. 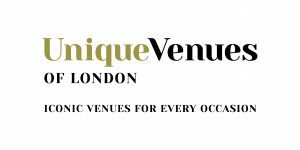 If you have a specific venue brief we can provide a shortlist of locations with event case studies to match your criteria and we guarantee the best venue hire rates. All our venues in one place, side by side. Our unique venues range from the small and intimate to the large and grand. Our impressive venues will wow your guests at your event. For catering companies & event management in London call Fizz today.